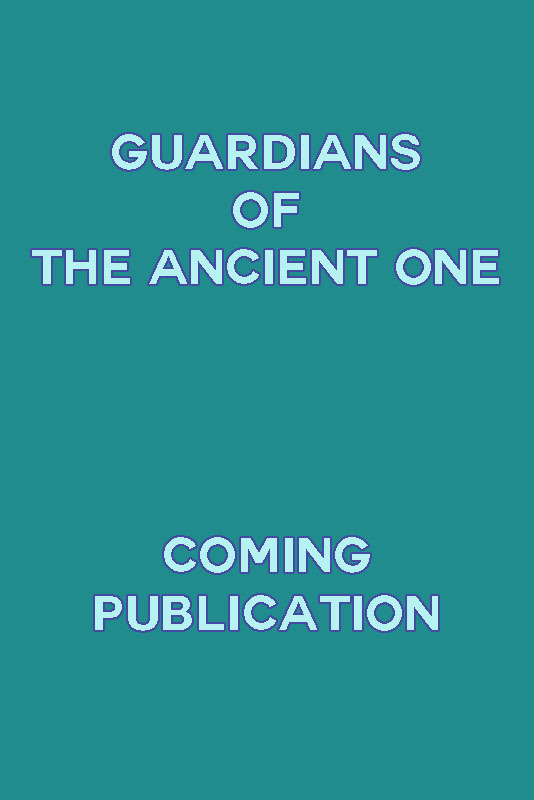 This Guardians of The Ancient One book pending cover page, represents the second book of The Parallel Time Trilogy. This manuscript like the third episode is written. The book covers have not yet been created but the ongoing conflict and enlightening ongoing struggle for Kalem, Mayleena, Etta, General Faldwell and Senator Judith Cranston will uplift and reveal within you ever widening hidden potentials to experience a transformed enlightened life. 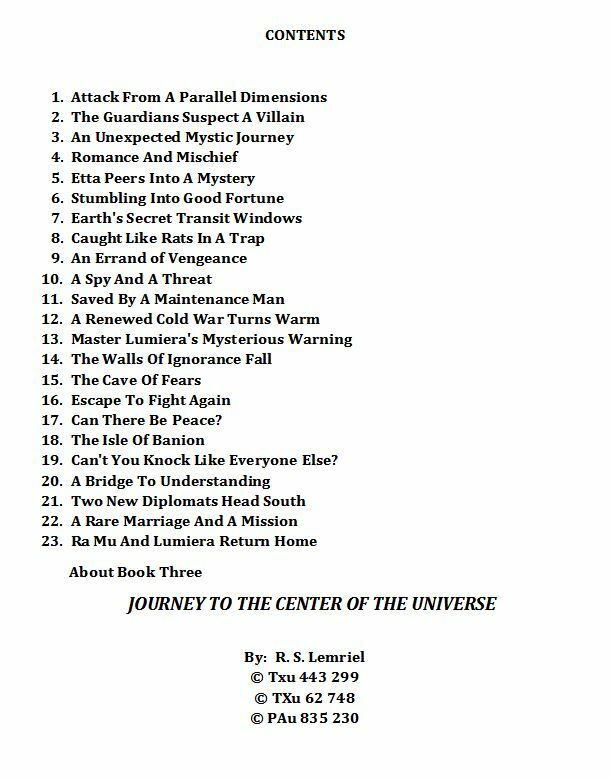 GENRES: First Contact, Spirituality, Paranormal, UFOs, Rare Romance, Time Travel, Parallel and Higher Dimensions, The Hidden Past Time Track, Out of Body Travel, Benevolent and Malevolent Extraterrestrials, and much more. This Is the ongoing fast-paced second epic adventure that secretly revolves around present day Earth. While utilizing the combined secret weapons of the United States and Russia, General Harry Faldwell, his new wife Senator Judith Cranston, Captain Kalem, Mayleena, and Etta are thrust into the struggle against Sen Dar’s ongoing attempts to dominate all life on Earth. He recently gained dominant subconscious control over his newly discovered advanced totalitarian space-faring Zon race. He discovers them quite by dramatic accident living and thriving in a close parallel dimension on planet Earth through the misuse of one of The Ancient One’s stolen crystals devices. Note: In the Guardians of The Ancient One Book you will discover not only much more about Kalem, Mayleena, Etta, General Faldwell, and Senator Judith Cranston, but much more about Sen Dar, Master Ra Mu, Admiral Starland, and others in ways that will astound you and stimulate the recall in you regarding much that was taken from you or suppressed in the subconscious domain. This is all reversible and that is the great good news regarding our changing destiny on this currently backward misguided planet Earth.